A Pacific Business Awards Night To Remember! Four conch shell’s called out to the four corners of the room, a sound that echoed across the hearts and minds of everyone present. Bagpipes fused with the steady beat of drums, Tahitian dancers swaying in time to a rhythm never attempted before, the 2018 National Business Trust Awards evening opened with an unforgettable fusion of cultures! CIDANZ was honored to be in attendance as a finalist for the Pacific Impact Award funded by Panuku Development Auckland. The evening commended amazing Pacific Businesses and people making a real difference in their communities. CIDANZ would like to congratulate all the winners of the night, especially Kokiti Ltd. We love young people, especially the ones making a real difference in the lives of our youth! http://www.cidanz.co.nz/wp-content/uploads/2017/10/Header_v3.png 0 0 Janet Akai http://www.cidanz.co.nz/wp-content/uploads/2017/10/Header_v3.png Janet Akai2018-06-25 13:20:492018-06-25 14:38:51A Pacific Business Awards Night To Remember! The years have been kind to the development and growth of our Cook Islands crafts. 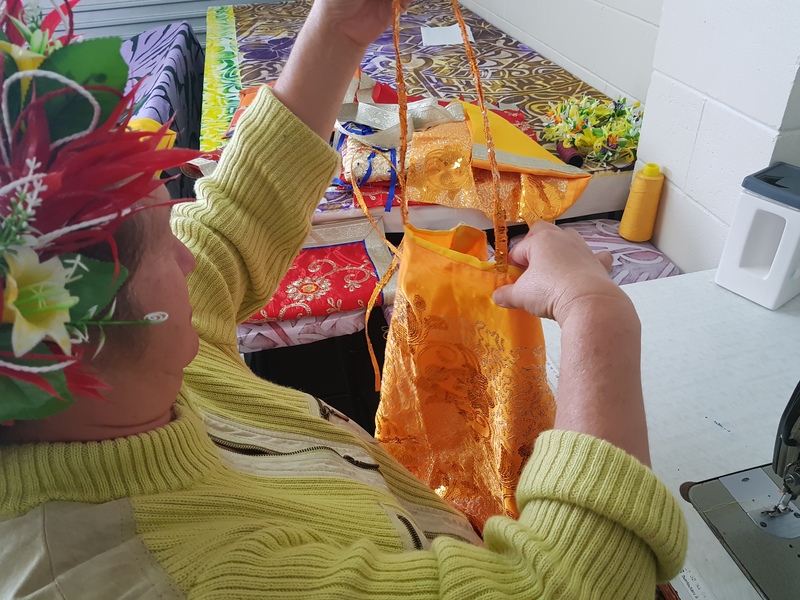 There has been a steady rise in the skills and numbers of Cook Islands craft-makers, including our very own Vainetini’s, with 13 formulated groups currently operating in the Auckland area alone. Of those 13 is the Cook Islands Ta’okotai’anga Vainetini (Taokotai Vainetini) headed by Tepori Teariki. 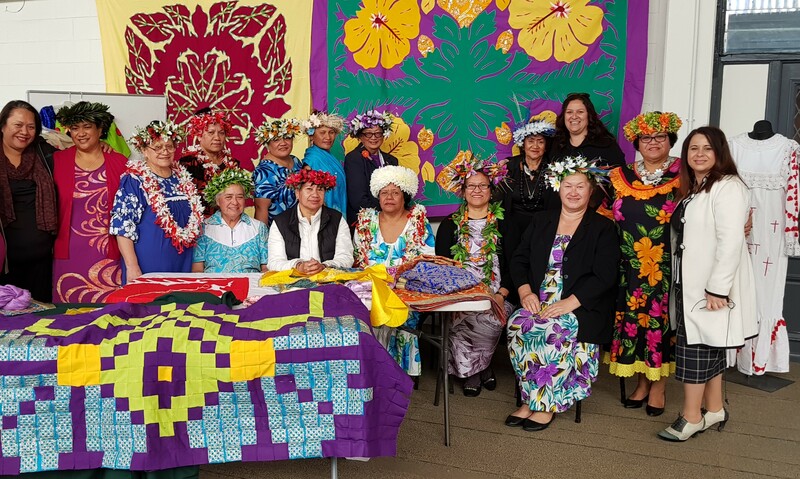 Under the umbrella of the Cook Islands Development Agency NZ (CIDANZ), this vainetini was the first National Cook Islands Vainetini group formed in July 2016 . The vision of the group was to unite and prosper the Cook Islands community, its formation being an example of how they were achieving that vision. 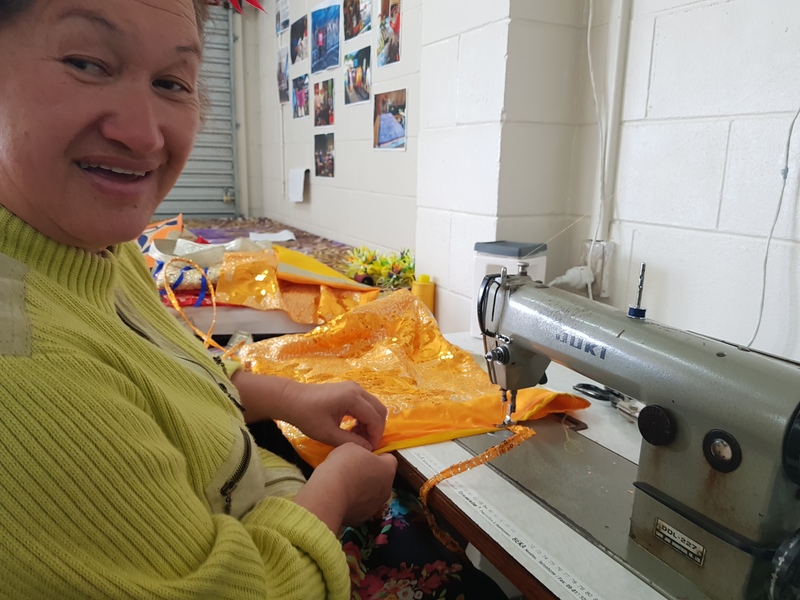 Comprised with over 30+ members from over 7 other Auckand vainetini groups, the true strength of the group is their ability to create an equal platform that recognizes each mama’s strength, knowledge, and the strength of that knowledge when combined. 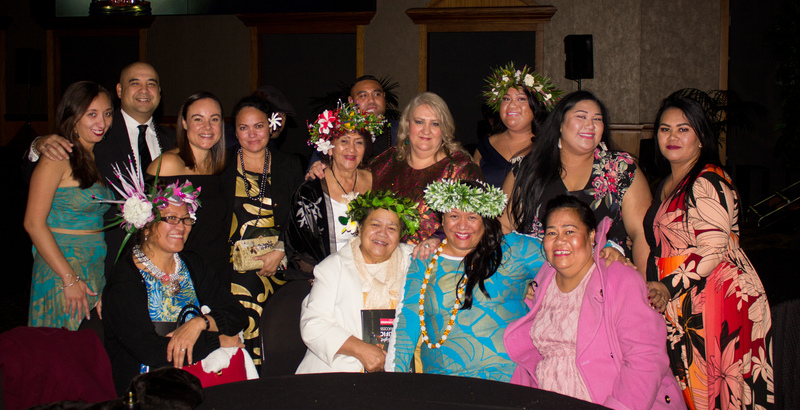 Individually these mamas are craftswomen sustaining our Cook Islands heritage, but together they are a powerhouse of mama’s sustaining our community. On June 10th, the Taokotai Vainetini was featured on ONE News Network. The story highlighted the women’s creative abilities to give new life to the the traditional Sikh fabric known as the Rumala Sahib, a fabric destined to be burned to protect its sacred role in the Sihk religion. The women have given our traditional tivaevae’s a new twist by incorporating the Rumala Sahib into it; a technique that up until that moment, had never been attempted before with another cultures traditional cloths. At first the Mama’s were reluctant to cut into the beautiful material, but through prayer, trial and error, they were able to respectably give the Rumala Sahib a second chance at life, ultimately telling a new story. Currently the women are recycling the fabrics by sewing it into beautiful pieces of arts and crafts. They look forward to featuring a few of their creations in October 2018. As we draw closer to the turning of soil for the oneCHILD Centre Project this year, so too is the completion of the first ‘total immersion’ curriculum framework for the centre. Last week, Friday 15th June the oneCHILD Project Group met to view and discuss the proposal: Rima Akataka Approach – this is a hands on experience in learning for the tamariki potiki of the centre, based on tacit knowledge of the Cook Islands (indigenous people’s knowledge developed over time, and continue to develop). 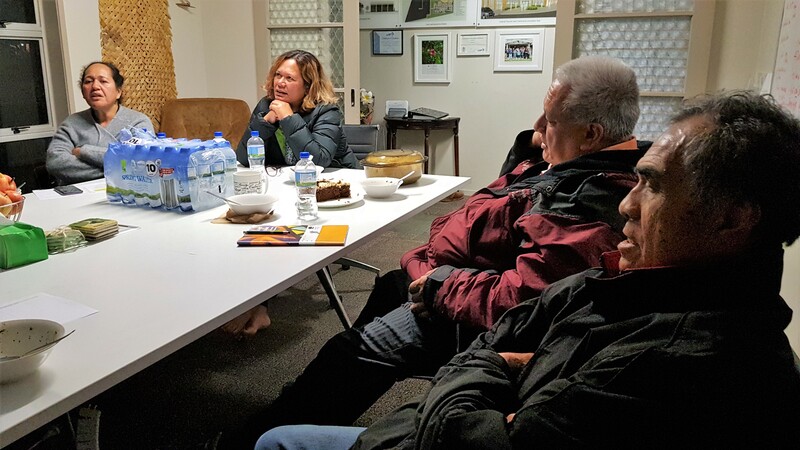 The discourse in literature and group discussion covered the Cook Islands Maori Reo, quality learning, quality teachers, authentic learners, practical and literate learning, nature studies, literature, global approaches and theories. The centre will be indigegogy based, where our tamariki potiki will be totally immersed in the Cook Islands Maori reo and a Cook Islands Maori worldview. 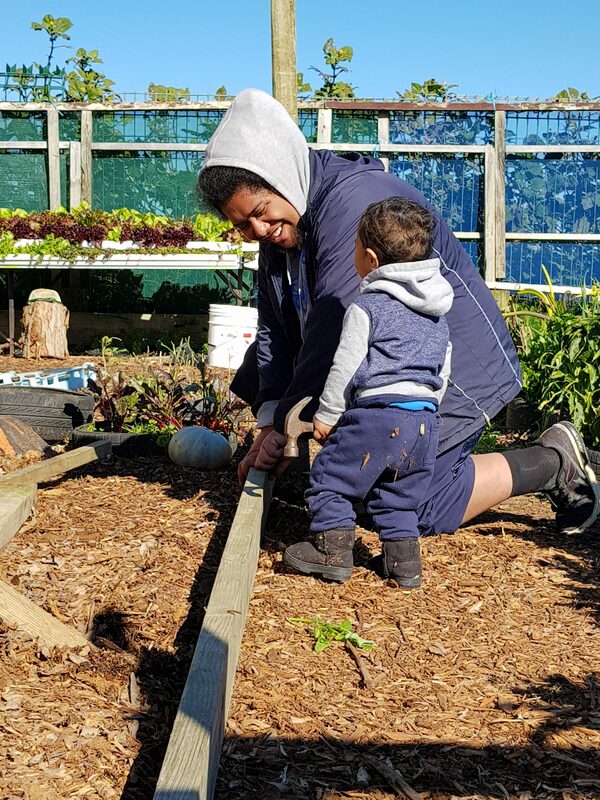 Our tamariki potiki will learn through a culturally responsive-relational pedagogy with a collaborative pathway to strengthen their knowledge and understanding of the Cook Islands Maori Reo, Akonoanga and People in a new indigenous cultural environment. 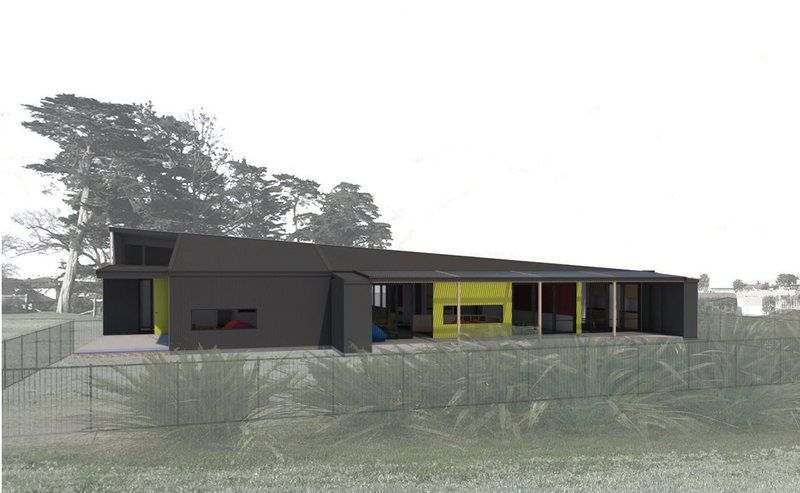 We are creating a new and exciting wave of learning for our tamariki potiki in Aotearoa. The Cook Islands Taokotaianga Charitable Trust [t/a] CIDANZ is seeking ‘expressions of interest’ from individuals to join our Board of Trustees. These are voluntary, non-executive positions. We are seeking to recruit two new Board members to join us from August 2018. As part of this recruitment process, we are looking to ensure robust succession planning for the positions of Chair and Deputy Chair. Individual and Collective Well-being is our purpose. “Working together for the COMMON-UNITY” is not just a slogan, it’s a statement that reinforces our vision to engage the wisdom, the knowledge, and the power within our communities. We want to create an alternative way for people to thrive economically; protecting our natural resources and expressing our cultural values through our work and social activities for our children and the children of their children. CIDANZ is a Charitable Trust based in South Auckland with an outreach to 13 regions across New Zealand from Whangarei to Invercargill. Our mandate is to support social and local economic development by supporting individuals and families to actively participate in initiatives that can generate financial wellness. The Board is responsible for the oversight of finances, management and performance of the Trusts small but dynamic team. The Board is supported by an Advisory Committee made up of representatives from the Cook Islands community. In return for these responsibilities, new Trustees would be joining the Board of a highly visible, diverse and growing network with a motivated, effective and committed operations team. New Board members will be instrumental in further supporting the Trust as it moves into its next stage of organisational maturity and delivers on a 10-year strategy that runs to December 2028. The Board meets bi-monthly, with monthly 1 hour portfolio catch-up sessions with management staff and one annual meeting which also serves as the Annual General Meeting. All meetings and documentation are in English. Successful applicants will be expected to attend the next Board meeting in August 2018. Meetings of the Board, and all documentation and communication, are in English. Trustees also need to be available for the annual two-day face-to-face planning meeting each year. Board members are also expected to be available to provide advice and comments between meetings. Board members will be appointed for two three-year term, with the ability to renew for one further and final three-year term, total of (9 years). Interested individuals should send a CV and a short cover letter outlining why you are interested in joining the Board of CIDANZ, and highlighting your relevant skills and experience for the Board position. These expressions of interest must be sent to Janet Akai, Manager-Design & Communications (janet@cidanz.co.nz) no later than 5.00pm Monday 25th June. Tom Wichman, lovingly known as “Papa Tom”, is well known internationally for his work in Sustainability with the United Nations, and as a consultant to the Cook Islands Ministry of Agriculture. During his years in the Cook Islands, he quickly learned that hydroponics would be beneficial to the island of Manihiki who’s soil was not suitable for planting because it was mainly sand and salt. Papa Tom set up their first hydroponic planting system. 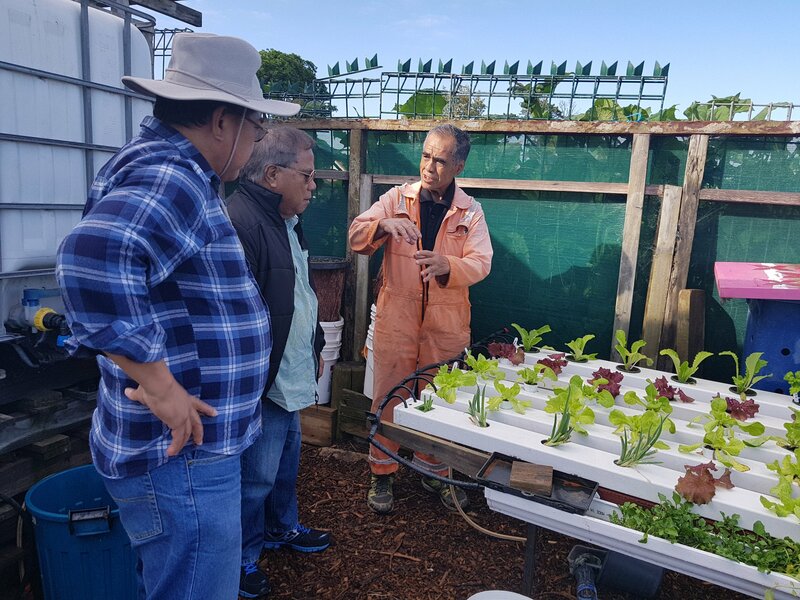 Bringing those learning’s to New Zealand, Papa Tom is now working towards establishing a hydroponics cooperative right here in the heart of Mangere. Hydroponics is an easy way for families to grow food yearly. It requires a constant flow of nutrient filled water that circulates through several pipes, where the roots of the plant picks up those nutrients. Because the system doesn’t use soil, weeding is not required. It takes 3 – 4 weeks for plants to fully mature, and we are able to harvest from the same plant time and time again provided that the root system is still in place. There is minimal water and food waste, and it is easy for any family to manage.